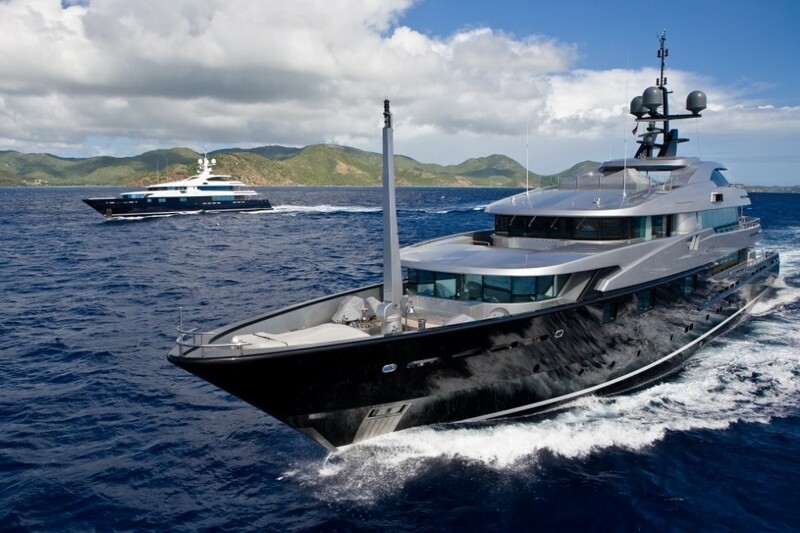 This striking 60m/196ft LUXURY SUPERYACHT was built by CMN in 2009 and features the naval architecture of the shipyard. 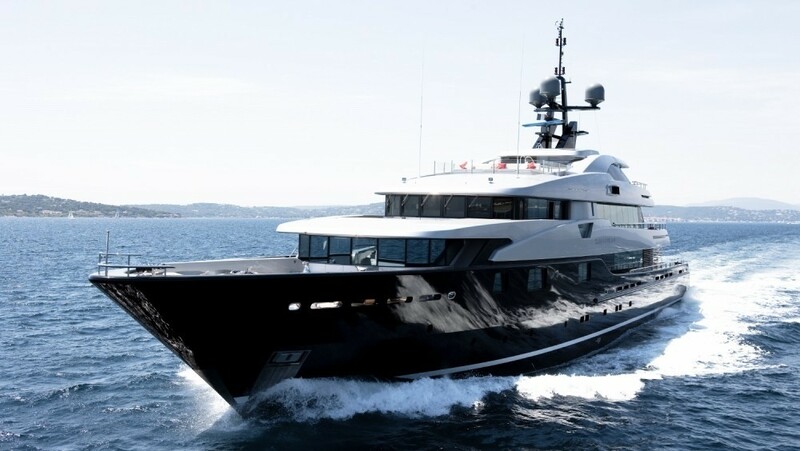 Winch Design is responsible for the exterior and interior styling of this steel-hulled displacement motor yacht, which accommodates up to 12 charter guests across seven en-suite cabins and a relaxed, pleasurable and fun holiday is ensured thanks to a crew of 15 highly-skilled members. 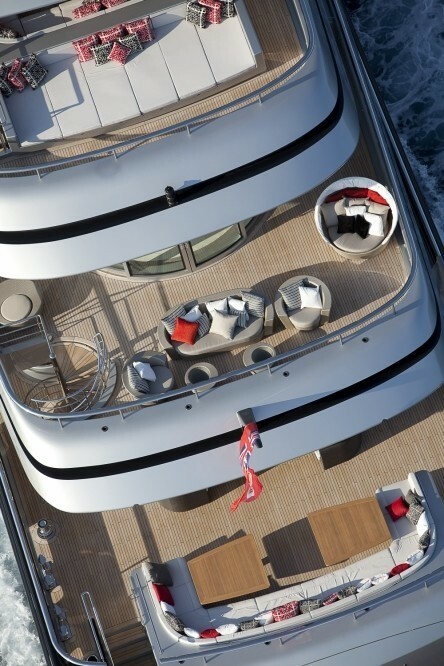 The lower deck swim platform has a ladder for easy access in and out of the water, and two staircases connect up to the main deck aft where guests can dry off in the sunshine while enjoying a meal on the C-shaped sofa surrounding two large raised tables. 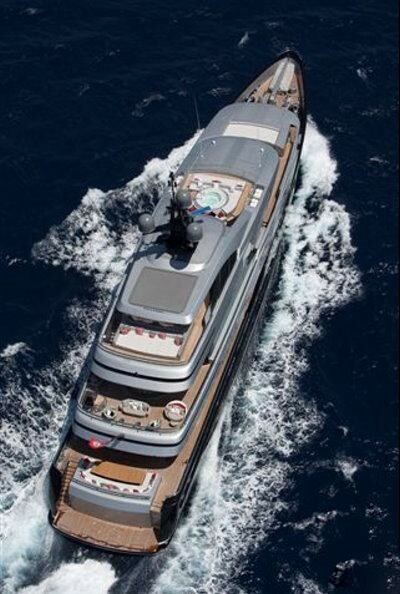 The main deck bow is used for storing the tenders, which are launched and retrieved using a Davit crane. 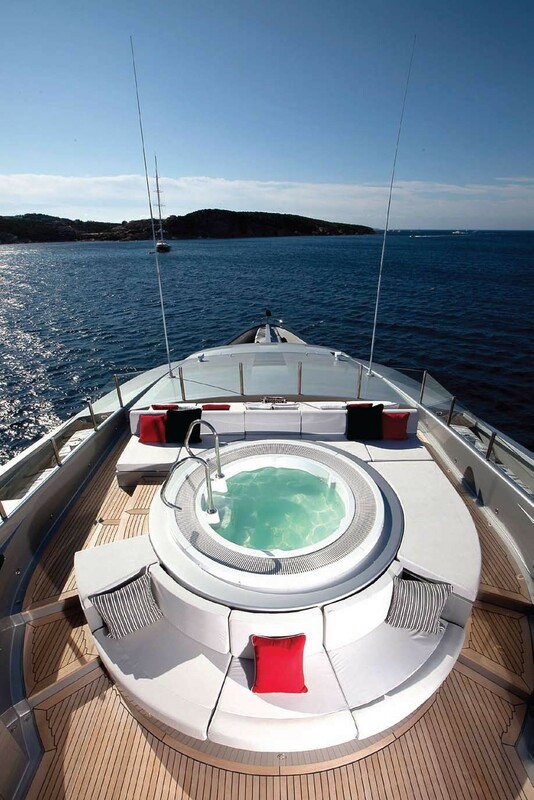 The bridge deck aft is laid out with a casual aft-facing lounge where a broad sun-exposed sofa and two armchairs around drinks tables look out over the stern. 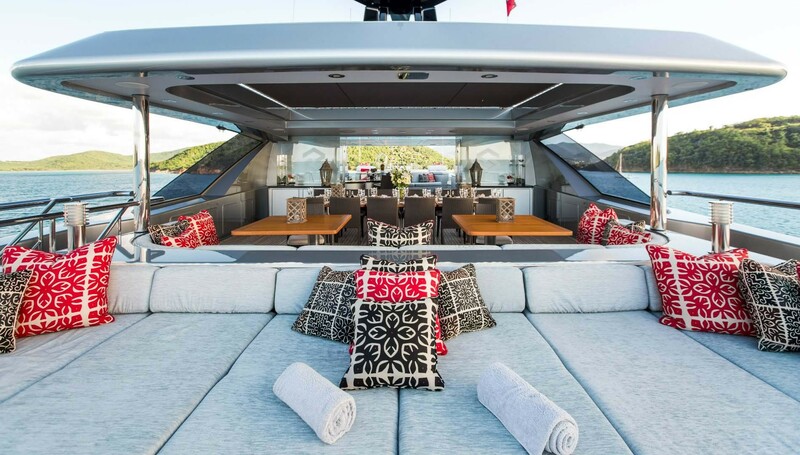 The outer deck wraps around to connect to the foredeck, where there is a plush sofa in front of the helm station where a couple of guests can enjoy the forward views away from the main group. 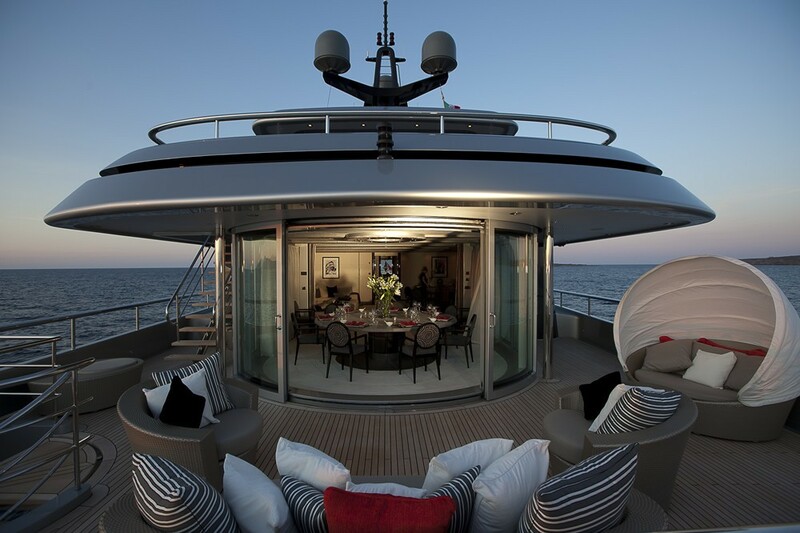 On the sundeck, the aft section is covered in one enormous sun pad and a forward-facing curving seat creates a laid-back environment for outdoor living and conversation over drinks. A long, alfresco dining table to seat 12 is placed under the shade along with a wet bar and smaller seating area, while forward there is a massive Jacuzzi surrounded by sun pads for guests to marvel at uninterrupted views of the landscape. 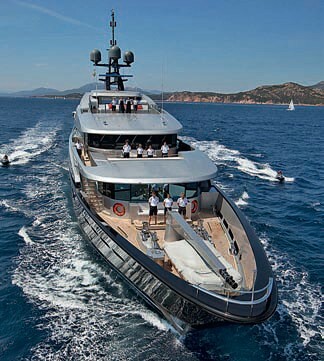 The lower deck stern contains the tender garage and water toys storage, with the gym and engine room placed in front. 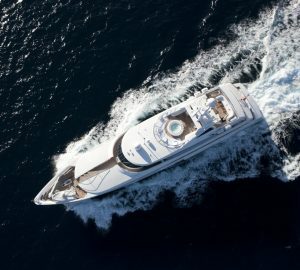 Amidships is the guest accommodation, consisting of two double cabins and two double cabins convertible to twins, all with en-suite facilities. The forward area holds the crew accommodation, mess and laundry facilities. 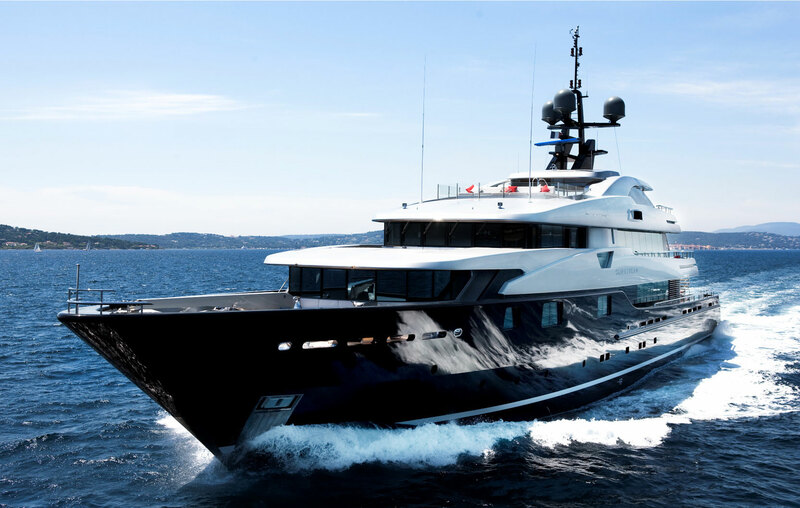 The full-beam Master suite on the main deck forward is a private getaway, offering an opulent interior in charcoal grey and fuchsia. The bedroom has an en-suite bathroom and walk-in wardrobe, and there is a large office behind and a forward observation lounge. Aft of the main foyer is the open-plan lounge, which also contains a forward formal dining area to seat up to 12 guests in African-inspired modern surroundings. Broad windows span the port and starboard sides to light the main salon and provide excellent views of the location. The main seating area places three soft sofas around a circular coffee table and two armchairs, while the aft section beside the sliding doors there is a games table and a bar. 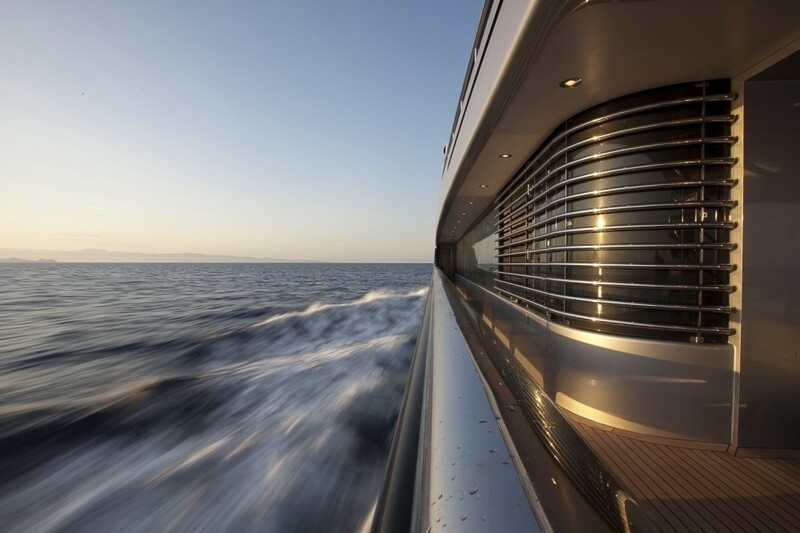 Behind the bridge deck helm station, there is a port-side VIP stateroom with a side-balcony and an en-suite bathroom. 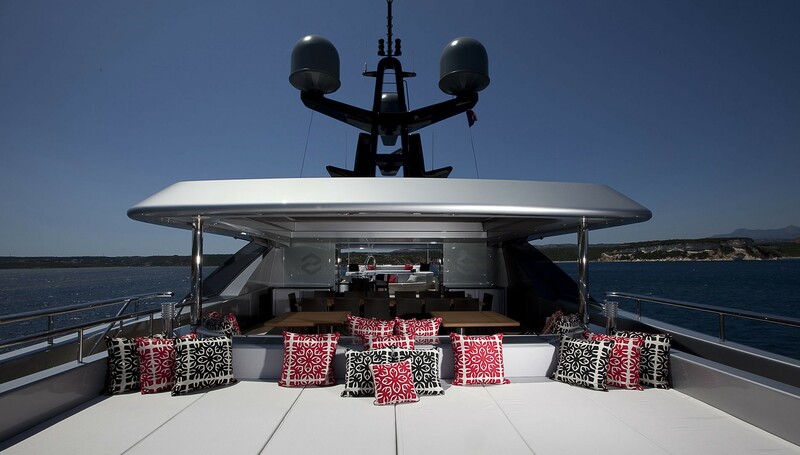 The large sky lounge has a C-shaped sofa on the port side and a bench opposite, within which is stored a massive projector screen for film nights. 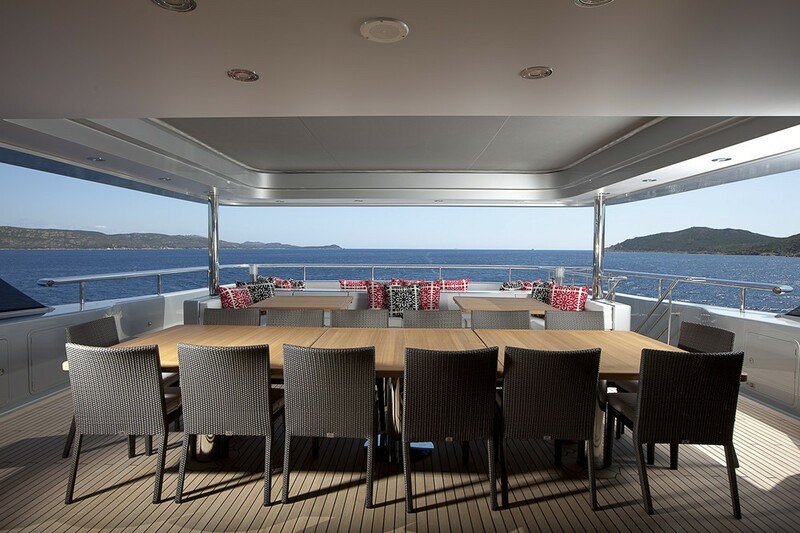 Drinks tables and armchairs are placed forward and aft, and before the curved aft sliding doors is a circular dining table that can be opened up to the elements. 2 x Caterpillar 3516B 16V engines provide a cruising speed of 14.5 knots and a top speed of 16 knots. The accommodation sleeps a maximum of 12 charter guests across 7 en-suite cabins: 1 Master suite, 1 VIP stateroom, 2 double cabins and 2 twin cabins convertible to doubles, plus a gym convertible to a seventh cabin with 2 Pullman berths. 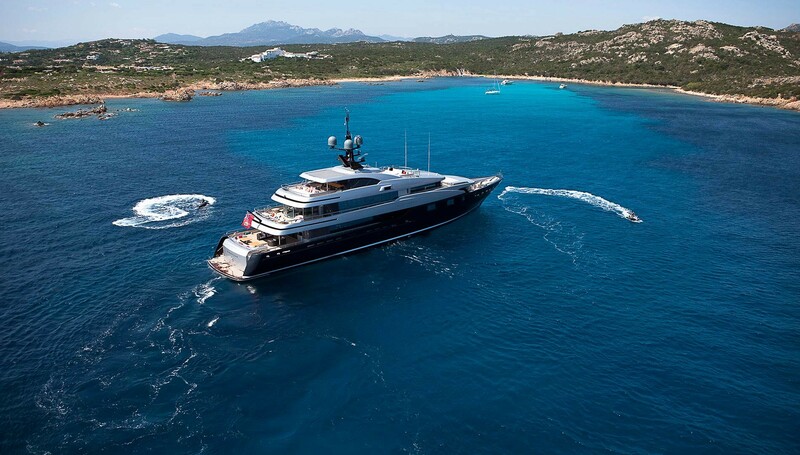 We do have available further amenity, owner and price information for the 60.00m (196' 10") yacht 60M LUXURY SUPERYACHT , so please enquire for more information.